THE SPRING GIVEAWAY IS LIVE! ENTER NOW THRU 3/25! Well, it’s not exactly the first day of Spring yet, but today seems like a fine time for a giveaway, dontcha’ think? I’m SO excited to kick off Spring with a ton of amazing prizes for a ton of amazing readers like YOU! This giveaway is over. Check out all of the sponsors and prizes below and enter for your chance to win. Yee-haw! This post is sponsored by the Sponsors listed below* Images may not reflect actual prizes to be awarded. 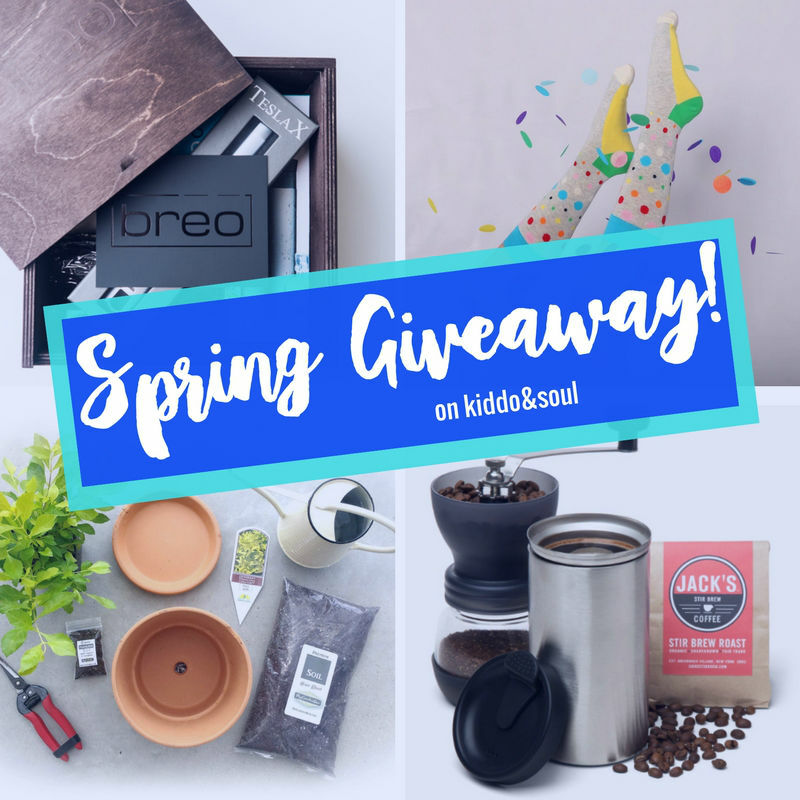 Enter for your chance to win one of 9 awesome prizes, from SprezzaBox, Bespoke Post, Sock Panda, Mom Time Delivered, My Garden Box, M is for Monster, Breo Box, Bulu Box and Bump Boxes! Last month we featured Health and Beauty prizes – this month, we’ve got something for EVERYONE. Enter below and check back next Monday to see if you’re one of the lucky winners. You can learn more about this month’s incredible Sponsors by clicking on the links below and checking them out. I’ve reviewed products from many of these brands and will link up to those reviews as well. My Garden Box is giving away a “My DIY Box” from My Garden Box, valued at $38.50. || My Garden Box puts together a uniquely themed collection each month that offers beautiful plants, creative decor, and a touch of fun DIY. Every box is gardener-tested and given the green-light by on staff growers and gardeners. || Subscriptions start at $21.50 || Enter KIDDO20 at checkout to get 20% off new box orders. Expires April 15th, 2018. || Latest Review: I Heart My Checks & Hens, New review coming this week! Bespoke Post is giving away their Roast Box, valued at $55. || Bespoke Post provides themed boxes for guys who give a damn. Thoughtful collections of goods from small-batch brands, delivered monthly. || Subscriptions start at $45 || Enter KIDDO20 at checkout to get 20% off your first subscription box || Latest Review: It’s Past Time! Enjoying Bespoke Post’s Mangia Box, Roast Box review coming this week! Sock Panda is giving away winner’s choice of a one time package including 5 pairs of socks, valued at $70 || SockPanda designs original socks for men, women and kids and sends them to you every month. They also donate to a cause for every subscription purchased. || Subscriptions start at $12 / month. Various subscription options available ||Enter KIDDOSOCKS10 at checkout to get 10% off a subscription. || Latest Reviews: Kids Socks That Will Actually Stay on Those Tiny Little Feet, Women’s Sock Review coming this week! Mom Time Delivered is giving away one Mom Time Delivered April “Flowers” Box. Filled with small batch natural spa products, artisanal goodies and gifts to help a mom relax. The perfect subscription box for Supermoms valued at $30! || Mom Time Delivered is a subscription box for busy moms everywhere and includes monthly hand-picked goodies to help truly take care of the mind, body and whole Mama. || Subscriptions start at $30 || Enter KIDDOSOUL20 at checkout to get 20% off your order. Valid March 19-25, 2018.
brēō box is giving away (1) Spring Edition Breo Box, valued at $139. ||brēō box is a seasonal subscription service for both men & women, delivering high-end and boutique brand name products. Every 3 months, you’ll receive a custom made hand-packed wooden box with items that revolve around everyday essentials, fitness/health, and tech, curated to fit the season. || Subscriptions start at $139 per season. || Enter KS30 at checkout to get $30 off your first box. Bump Boxes is giving away a Trimester Gift Box of the winner’s choice (1st, 2nd, 3rd, 4th/new mom, or a new baby gift box), valued at $50. 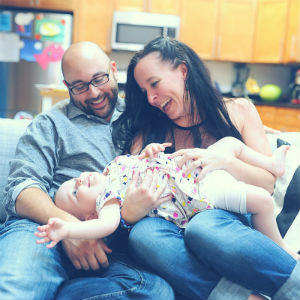 || Bump Boxes sends monthly deliveries of healthy pregnancy, mom and baby products for every stage of your pregnancy to your little one’s first birthday! || Subscriptions start at $39.99 || Enter KIDDOSOUL at checkout to receive 35% off your first box in a monthly subscription! The code will be live starting 3/19 and will expire 3/31 at 11:59pm CST. Good luck to all who enter and be sure to get all of your entries in before 11:59 pm on 3/25. Yey! NO PURCHASE NECESSARY TO ENTER GIVEAWAY. Ends 3/25/18. Open to legal residents of the 50 US, 18 years of age or older. Subject to official rules available in the rafflecopter entry form above. Void where prohibited. *DISCLAIMER: This post is sponsored by the sponsors listed above. It is a combination of my personal insights, opinions and thoughts on various topics and products and may contain affiliate or referral links. I earn a small commission if you make a purchase through my links, which helps me continue on this fabulous journey of blogging! Full disclaimers avail. here. Thanks. What a great giveaway! Love to see more on these subscription boxes! Good luck Sandra! I’ll be posting more as the days go on 🙂 Stay tuned! This is the ultimate giveaway. I’m in love with subscription boxes! Great idea!